A list of FAQ about teaching at Fisher’s SuperKids, accommodation in Danang, transport to work, medical and personal related questions. What teaching opportunities are available at Fisher’s SuperKids? The center only offers 1 year, part-time teaching contracts, consisting of 15 – 18 teaching hours per week (excluding lesson planning and preparation). What is the age level of the students? 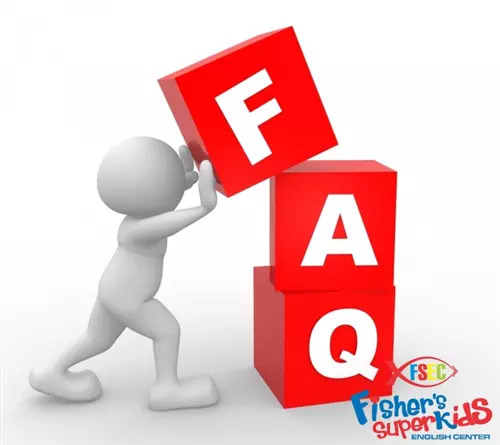 Please refer to our website (www.fishersuperkids.com) under the tab “PROGRAMS - ESL PROGRAMS” for a detailed description of each program offered per age group. Each class is equipped to have a maximum of 18 students. What times/ days are teachers expected to teach? During weekdays (Monday - Friday) our 1.5-hour classes run from 17:30 - 21:00 (5:30pm- 7:00pm and 7:15pm-8:45pm). On weekends (Saturday - Sunday) our classes run from 7:30 - 17:30 (7:30am-5:30pm). It all depends on your class schedule at the beginning of each course (a course is 3 months long). We try to give teachers two consecutive days off per week. However sometimes, due to scheduling constraints, it may not be possible to give teachers consecutive days off. How many classes does a teacher have? Teachers can have between 5 - 7 classes. This can vary depending of the position available. FSEC has 4 centers located close to each other in Danang, teachers usually teach at 2 centers during their contract. How many hours does a teacher work? The part-time contract usually consists of 15-18 paid teaching hours in the classroom per week. This does not include time for lesson planning, class preparation & admin work which consists of: checking emails, printing material and speaking with your teaching assistants in preparation. Fisher’s SuperKids expects each teacher to be at the center at least 30 minutes before the class starts, to allow sufficient time for lesson planning and preparing your material and classroom. Can teachers choose what age group they prefer to teach? Usually in the hiring of new teachers we try to fill the classrooms which are in need of a teacher at that time. This can be for any age group between 4 - 17 years old. However, the Academic Team wants to put you in a classroom which you feel most comfortable & confident with. They also provide full training and consistent help throughout your contract. Can I choose which center I want to work at? Fisher’s SuperKids has 4 different centers allocated in Danang. Usually, we allocate new teachers to the classes that need an immediate teacher, which means that you cannot choose at which center you want to work. However, it doesn’t hurt to ask if you have a specific reason for choosing one center over another. Usually our teachers will work at 2 different centers during the week. Where are the 4 centers of Fisher’s SuperKids located? Do I teach my own material or a provided curriculum? FSEC provides teachers with syllabi and textbooks to work from. This syllabus complements the midterm and final tests that are given each course. How many foreign teachers work at Fisher’s SuperKids? We have 28-35 foreign native English speaking teachers (from over seven different countries) and eighty Vietnamese staff. Should I be able to speak Vietnamese to work in Vietnam? Not at all. This might actually be a benefit for your students if you don’t speak Vietnamese, because this will force them to only converse with you in English. However, you can learn Vietnamese while you’re here! How long is the orientation period for a new teacher? The orientation period occurs in the first week of working at Fisher’s SuperKids. The orientation includes meeting with all departments, getting familiar with the classrooms, and meeting the Academic Team who help new teachers with class preparation, lesson planning, class discipline etc. It also includes meeting with members of our HR department, who will help with all the requisite documentation and explain (& support) the steps in obtaining Business Visas and Work Permits. New teachers also meet with our Scheduling Department, who keep track of all teachers’ classes & timetables, and with Teacher Support, who advise on any potential challenges in adapting to the new culture of Da Nang. Note that orientation week is unpaid. How many holidays do teachers have? As per contract, part-time teachers will have 12 vacation days & 6 sick days off per contractual year. Part-time teachers gets paid per teaching hour, which means that if you don’t work you don’t get paid and the more hours you work/ substitute, the more you will get paid. Therefore, there is no paid vacation days available for a part-time contract. However, you can request unpaid holiday leave anytime during the year. Vietnam’s vacation is during the new year celebrations of TET Holiday, which usually lasts for 7- 10 days at the end of January/ beginning of February. During this time all staff members will have off, this is not part of your contractual off days, so you can combine your leave days with the national holiday to extend your vacation. Fisher’s SuperKids is a professional center with a highly professional atmosphere. Ladies dress semi-formal. Dresses which are not too short, long pants, blouses which covers the shoulders and closed shoes. Gentlemen dress semi-formal, professional long pants, button-up or polo shirts covering the shoulders and closed shoes. Shorts, tank tops and flip-flops are not allowed on campus, even when just visiting the HR room on days off since parents, students and visiting guests do not know this and assume it to be unprofessional. Can you sign a part-time teaching contract for less than 1 year? Fisher’s SuperKids’ English Center preferably offers one year part-time contracts; that are renewable for the second year upon a mutual agreement. SuperKids invests a lot in our teachers, both professionally & personally. SuperKids pays for each teacher’s Work Permit & helps with the legalization of their documents. In addition, teachers also have to invest financially in their jobs, as they will have to pay for their first Visa Run (to obtain their Business Visa first before the work permit can be granted by the Vietnamese government) out of the country, which usually occurs within the first 3 months of working at FSEC. This visa run depends on each teacher’s situation, if a teacher is already out of the country and can get a Business Visa sponsored by SuperKids before entering Vietnam then this visa run is not necessary – depending on individual situations. If the visa run is necessary the costs would include; flight/bus tickets to a neighboring country, cost of the Business Visa, accommodation abroad for approx. 4-7 days, taxi and food expenses. From then on, as stated above, SuperKids takes care of the rest of the time-consuming paperwork. The next step would be to obtain a Work permit, SuperKids will get all the permissions from the government, Vietnamese legalization and cover the total fee up to $145 for each teacher’s work permit to be delivered in time – this permit would make a teacher legally able to reside and work in Vietnam for the duration of their contract at SuperKids. Weighing up all the costs & effort involved makes it only worth it for both parties if a teacher signs contract of a minimum of at least 1 year. Because of our commitment to our teachers, we expect the same level of commitment from teachers that work with us throughout the contract period. Keep in mind that Fisher’s SuperKids operates in an Asian context & worldview, which means that in this culture, commitment and the honoring of a contract is highly prioritized. Also, Fisher’s SuperKids’ number one priority is the education & development of our students and the commitment we make to the parents. With this comes the expectation to have a dependable teacher employed for the duration of one year, one who recognizes & highly regards the professional development and growth that the Academic Team invests in each individual teacher. How can a teacher get involved in charity work? SuperKids has a strong commitment and passion for charitable work. We have been involved in many opportunities from sponsoring the education of orphan & less fortunate students, supporting the needs of the elderly & mentally ill people, reaching out to the tribal people in the mountains, creating educational networks in poor fisher villages around Da Nang and partnering with an Education Center for Vietnamese Refugees in Cambodia. We have all the resources available but we need the talents, passion, ideas and time of our Teachers to help make more opportunities available. We encourage our Teachers and Staff to make use of our broad network of contacts & support systems to start their own campaign, event, fundraiser or opportunity to give back to the people of Danang & Vietnam. Do teachers have assistance from Vietnamese teacher to help in the classroom? Each class you will teach will have a Vietnamese Partner/ Vietnamese teaching assistant assigned to the class. Her main responsibility is to directly and consistently keep in contact with parents and do most of the class admin. Our Vietnamese Partners support each class for 50% of the lesson, to offer assistance for the teacher. The teacher remains responsible for the lesson planning, presentation, activities & classroom management in the classroom. Furthermore, your Vietnamese Partner is an invaluable aid in communicating with students and their families. They are the backbone of what we do here at the Center. Do the students speak some English? How will they understand me? When younger students just start their first English classes, they may not have any English skills yet. The teacher will use realia, TPR and other ways to teach the students. At this age students are also learning self-control, partnership in class, boundaries and freedom to express themselves, hand/eye-coordination, feeling comfortable with a foreign teacher using the right-brained communicative approach instead of traditional left-brained memorizing emphasis at Vietnamese school. The younger students learn, speak and listen to English in the most native-like way. Their pronunciation is usually the most impressive after three to four courses. You don’t have to worry about this! We will train you on how to teach them and you will have assistance from your Vietnamese Partner. The older students learned English in the Vietnamese schools, which sometimes makes it harder to correct English pronunciation and intonation which they was drilled into them differently outside of SuperKids. Students who have studied at FSEC for many years prove fun to teach as they currently use textbooks similar to Vietnamese universities’ English texts but with topics that fit their teenage years. Their ability to comprehend and give intelligent replies and presentations using the correct grammar and vocabulary (slang and idioms included) is very exciting indeed. What is available in the classroom for Teachers to use? Teacher’s books are given to the teacher before class starts. Other curriculum resources, like flashcards, are shared by teachers and borrowed from the resource shelves. Each teacher will receive a teacher’s box of goodies with the basics: tape, scissors, glue, stamp pad, etc. Orders are placed each month by teachers when basic items run out. Teachers choose different rewards for their students so usually buy their own sticker or stamp collections and sometimes make their own rewards. How does the classroom layout look like? The walls of each classroom are well insulated to block the heat from the outside. All rooms are air-conditioned and fully equipped with dry-erase boards, flat screen TVs, internet connection and other teaching aids. Each room is uniquely and beautifully decorated with murals and posters to create a fun and exciting atmosphere for all of the students in order to help them feel comfortable for increased learning. Will I get guidance/ support in how I teach? Fisher’s SuperKids has a unique Academic department that includes an American Director (Ms. Teresa Huynh) and two foreign branch managers operating between 4 centers. Included in the academic department are the Vietnamese Partners’ Manager and her four Lead VPs who oversee thirty VPs in total who support our teachers at all centers. The Academic Department’s goal is to support the teachers’ academic needs. Each teacher is trained on school procedures and the tools & resources we advocate. Assistance in planning lessons and in-class help or demonstration when needed. Our Academic Team is always available to answer your questions or support you in your teaching. In addition, teachers are given plenty opportunity to observe our most talented teachers in action. Can I start working if I only have a Tourist Visa? Yes, because of our commitment in getting you a Work Permit as soon as possible, you are allowed to start working on your tourist visa. However, it is illegal to work on a tourist visa. But, any good & reputable company will immediately help you to get a Business Visa (Which you should have within 3 months) and then a Work Permit. If you start working on a tourist visa and the company has proof that they are in the process of getting you a Business Visa, then you don’t have to worry about the local authorities. Do I have to pay for my Business Visa and Work Permit? How much? Fisher’s SuperKids pays for your Work Permit. However, each teacher has to pay for their Business Visa & Visa Run. Once you have your Business Visa we can upgrade it to a 1 year Work Visa through your Work Permit. This means you don’t have to do a border run again. Depending on which country you visit to obtain your Business Visa, the currency exchange at the time and the international policies based on your nationality - the Business Visa can be anything between $120 - $300. What are the legal requirements for me to work in Vietnam? *Please refer to our “Working Legally in Vietnam” Tab on the homepage of the website. You are only eligible to work on a Business Visa; there are many ways to obtain one depending on your nationality. Your company should send you a letter of invitation to come work in Vietnam which can be used at a Vietnamese Embassy to get the Business Visa. However, if you work for any company for longer than 3 months, you need a Work Permit issued to you by your company, which can be a lengthy process as they need a lot more documentation from you. Any good & reputable company will have no problem to help/ advice and support you during this process. Can I be an English Teacher in Vietnam if I don’t have a University Degree? You need a University Degree or any certificate with the same value (a 2 year certificate is not valid) on top of your TEFL/ TESOL/ CELTA certificate in order to get a Work Permit as an English Teacher in Vietnam. However, if you have an education degree which included a TEFL (or similar) course which is internationally recognized, that would be enough according to the current law. How much should a teacher budget for accommodation? Depending on your requirements and location it can cost between $300 - $450 rent per month. Fully furnished apartments, studio apartments, houses, a room in a house is the most requested options. The cheapest option would be to rent a room in a house with fellow expats, ranging between $150 - $250 per month. You can search for constant offers on the Danang & Hoi An expats page on Facebook and other Danang expat/ housing pages. If you value your personal space an apartment would be the best option. Apartments near the beach costs between $300 - $450 per month. The most popular apartments are studio apartment. Which area is the most popular to stay in? Most expats prefer to stay near the main beach (My Khe beach) which is about 5km from F1 – our first center. This area is known as Ngu Hanh Son District. There are a lot of apartments constantly available for rent in this area. The most popular streets are known as the An Thuong Streets, which consist of streets numbered from An Thuong 1 to An Thuong 38. An Thuong 1 is one street away from the beach and all the An Thuong’s is within walking distance from the beach. This area is also popular for all the wide variety of Western and Asian food, stretching from cheap street side restaurants to 5 star hotel buffet meals available. This area is ideally located for most of our teachers as it’s within driving distance from all 4 centers, walking distance to the beach, walking distance to restaurants, stores and bars, a 40 minute motorbike drive to the ancient famous town of Hoi An, a 30 minute drive away from the top of the famous mountain Son Tra. Can Fisher’s help me in finding accommodation? The ladies in the HR department are willing to help advice and assist with personal requests, like finding housing upon request. Fisher’s SuperKids does not give allowance for accommodation. Usually, upon the arrival of a new teacher the center will sponsor 3 nights stay at a hotel within walking distance from the school. After that the teacher will need to find a more permanent place or carry the costs for an extended stay at a hotel. What is the process to finding an apartment? It’s very easy and quick to find an apartment. It’s more difficult to find a place that will meet all your requirements and feel like home. Former teachers recommended that you take your time to search for a place you like instead of just wanting to move into a place as soon as possible. Most agencies can speak English. A quick search of apartments in Da Nang on the internet will give you a lot of agencies and options to choose from. Some websites will allow you to filter your search with your specific requirements of what you’re looking for and your price range, like Danang Landlord Website. If you send them an email or better – send them a text message of the apartment you’re interested in, usually they can show you the place the very next day to look at. It’s best to contact a few agencies and people to have a few options to look at. Also, look at the neighborhood first and ask yourself how far it is from the center? How far from the beach? How far from a local convenience store? Is it a noisy place with a lot of construction? You can ask the landlord about the costs of the electricity, water and Wi-Fi___33, about the available furniture. Ask the landlord if you can get a discount if you sign for 6 months or a 1 year lease for the apartment – some landlords would be open to negotiate while others will not. Landlords will usually ask for 2-3 months of rent in advance plus 1 month’s rent as deposit. They will keep the deposit as insurance for them for any broken furniture or unpaid bills and will give it back to you at the end of your contract. On the Facebook Page “Da Nang & Hoi An Expats”, you can constantly find new advertisements of apartments and even houses of Foreigners who wants to rent out one room - this is usually much cheaper and a great way to make new friends. How does the Transport work in Da Nang, how can teachers get to work? It is highly important that you should be able to drive a motorbike/ scooter/ electric scooter/ bicycle. Taxis in Da Nang are very expensive, because it is a tourist town. Uber & Grab can be used, but it is also on the expensive side if you use it daily. Most of our Teachers drive a motorbike (don’t worry, the speed limit is 40km/ hour) but some of our Teachers drive an electric scooter or bicycle to work. There is a strong possibility that a teacher would work at more than one of our locations (there are 4 Fisher’s SuperKids centers around Da Nang) and must be able to travel between centers. Note that because the speed limit is 40km/h that traffic goes quite slow, which makes it’s more safe, so it takes longer to get to places which are not that far. For example 5km takes 15-20 minutes to drive. Why is Da Nang the best place to Teach? Da Nang has one of the most beautiful beaches in the world! Foreigners has described it as the best of 3 worlds - “The beach in front of you, the mountains on your left and the Vietnamese rice paddy fields on your right” (Hoi An) Da Nang is much more laid back than the major cities of Vietnam. It’s not as busy, not as rushed, that’s why it’s one of the most popular places for local and international tourists. Depending on where you shop, food in general is said to be cheaper on the streets than in the big cities. Da Nang is quickly becoming the destination of choice for tourists, expats, and locals alike. It’s one of the fastest growing cities in Vietnam, and it manages to mix the feel of a lazy beach town with a quickly growing, modern city. Within the last few years it has experienced an explosion of growth, opening many Western style shopping malls, restaurants, resorts, and other entertainment venues. However, it still manages to stay true to its Vietnamese culture with its slower pace of life and ease of access to beautiful secluded beaches, mountains, rivers, and nature. Just driving 10-20 minutes will take you out the city to be in the middle of pristine nature. Da Nang’s central location also allows many travel opportunities all over Vietnam and South East Asia, and the international airport makes traveling much easier. So whether you prefer the excitement of the city or the seclusion of nature, Da Nang is a wonderful place to live. A little bit more about us in action. How much is the living costs in Da Nang for a Foreign Teacher? The most attractive thing for English Teachers is the salary in comparison to the living costs in Da Nang. A Foreign Teacher can earn up to 5 times more than a local, meaning that they can put a lot of money away for saving. Accommodation can be anything from $350 - $450 per month, if you have your own/ rent a motorbike, transport can be $70 - $90 per month, if you buy food and veggies on the street you can pay less than $1 per meal. Living costs is very low! How is the Hospital/ Doctor Quality in Da Nang? There are some good quality & reputable hospitals in Da Nang. The hospital Fisher’s sends their Teachers too is a private Vietnamese hospital with an American doctor. Consisting of all the medical needs and departments you’d find in a hospital back home. Also, the hospital costs are remarkable cheaper than hospitals in the US and abroad. Should I get any vaccinations for diseases or viruses before I come to Vietnam? It depends on where you are planning to travel. If you want to go explore the jungle or hike the mountains you’d need to find out from your local doctor the current suggested vaccinations. However, if you are planning to come to the city or Da Nang or any major city, you do not need any vaccination.